My Top Ten Goals for 2015! Every now and then, I make time for participating in “Top Ten Tuesday,” a fun meme hosted by The Broke and the Bookish. This week takes a break from books to talk about general goals and resolutions for the new year. They can be reading and blogging-related, but you can also discuss other milestones you want to reach. Without further ado, here are my top ten reading, writing, and blogging goals for 2015! 1. Read 20 more books. 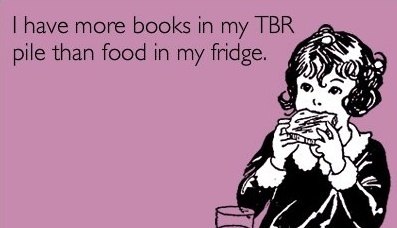 I’ve averaged about 20 books for the past four years, and I plan on continuing with this reading quota. Those next up on my TBR list include Invisibility by Andrea Cramer and David Levithan, It Happened One Wedding by Julie James, and J.R.R. Tolkien’s translation of Beowulf. 2. Read more fan-favorite romance novels. I’ve read my fair share of romance, from authors such as Vicki Lewis Thompson, Christina Dodd, Julie James, Heather Webber, and Meg Cabot. But after reading a Jezebel article on the genre, I’ve been inspired to read some of the greats. According to the article’s comments, I should check out Loretta Chase’s Lord of Scoundrels, Julia Quinn’s The Duke and I, and Jennifer Crusie’s Bet Me. Anyone have other recommendations? 3. Read more classic literature. Not every book I read in 2015 will be a bodice-ripper, and I want to make more time for the classics. I got a “50 books to read before you die” bookmark from the New York Public Library when I visited NYC in October, and I’m disappointed that I’ve only read 17! I’m most interested in checking off Anna Karenina, Huckleberry Finn, and The Count of Monte Cristo. 4. Reach 65,000 total blog views. My reach goal is 70,000, so I hope to create enough high-quality, consistent content to achieve this. I love blogging, and despite the difficulties of keeping up with Book Club Babe with a full-time job, I can’t imagine life any other way. 5. Create more vlogs. At the eager insistence of my loved ones, I released my first vlog for my 25th birthday, which discussed the top 25 things that books have taught me. Tomorrow, I’ll be vlogging my summary of the books I read this year. It’s nerve-wracking and time-consuming to put yourself in front of a camera, but thanks to the awesome video-editing skills of my brother Nick Jarrett, I’d like to continue doing these fun videos once a quarter if I can. 6. Research monetization. I never went into blogging to make money, but it certainly wouldn’t hurt, however how small. I’d love to learn more about online advertising on WordPress and other ways to earn some cents from giving you my two cents! 7. Make significant progress on my novel. I wrote 19,000 words this year during NaNoWriMo, and I’m finally at a place where I enjoy my story enough to keep going. Although I haven’t set a specific word quota yet, I plan to making writing regularly a top priority! 8. Improve during NaNoWriMo. Speaking of November’s most popular challenge aside from growing facial hair, I would love to redeem myself. 19,000 words was better than nothing, but I can certainly do better than that! 9. Attend more write-ins. Even during NaNoWriMo this year, I only had time in my schedule to attend two write-ins. I’d like to squeeze more into 2015, since the East Bay writing group is full of fun, quirky people who love writing as much as I do. I’m positive that this goal will help me make progress on my novel, because there’s always strength in numbers! 10. Attend more book signings. After having the opportunity to meet Scott Westerfeld and Azar Nafisi, I’m wondering why I never thought about going to book signings before this fall. Now that I’ve got a couple under my belt, I just want to add more notches. Who doesn’t want to hang with awesome authors? So those are my top ten reading, writing, and blogging goals for 2015! If you’ve got a few resolutions yourself, post them in the comments! I’d love to hear everyone’s plans for the new year! Well, everybody, I wish that I could say that I’m on track to hit 50,000 words and thus win National Novel Writing Month. 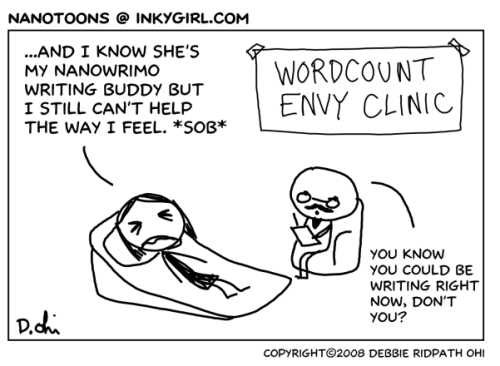 The reality is that I’m nowhere near that quota, but that doesn’t mean that I’ve haven’t gained anything from NaNoWriMo. 1. Accept your failures. At the time of this writing, I’ve written 18,000 words. That’s not even half the desired word count, and it’s still 12,000 words less than I wrote last year. There were at least five whole days where I did absolutely no writing. Zero, zilch, nada. And I didn’t even have a week-long business trip standing in my way this year! By my standards, that is straight-up pathetic. Thanks NaNoWriMo, as if I need a visual reminder of this epic fail! But guess what? Most Wrimos are pathetic. According to the NaNoWriMo blog, in 2013 there were 310,095 participants and 42,221 winners. That’s a measly 14% success rate. In fact, the average word count per person was only 11,352 words. I have to admit, after finding those statistics, I don’t feel so bad! At least I’m in good company! 2. Celebrate your successes. On my best day, I completed over 2,400 words, and on good days I could pump out 1,000 words an hour. Even though most days were paltry in comparison, I know that if I concentrate 100% and give it my all, I can win NaNoWriMo in the future. Knowing that I have that capability makes me determined to keep pushing, one line of dialogue at a time. Just don’t play the comparison game! Nobody wins! 3. Recognize your excuses. However, just because I can win NaNoWriMo, doesn’t mean I did. After working a full day, it’s easy to procrastinate because you’re tired, lazy, or uninspired. During this month, I suffered a minor infection, and the last thing I wanted to do was write when I wasn’t feeling well. But I knew that the words weren’t going to type themselves, and I tried to overcome my obstacles. I could whine that my 45-minute BART ride to and from work was making it impossible to write, but when I could, I sat down, took out my laptop, and sucked it up. Even if I had to sit the floor of the train, because there were rarely available seats. Write where you can, when you can, dirt and germs be damned! 4. Repeat after me: Something is better than nothing. Unless you cheated and spent your time copying and pasting song lyrics or typing “blah blah blah” over and over, you probably made progress on your novel. And if you did any of those scams, screw you. Why are you even participating? 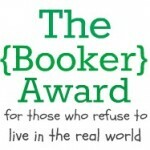 Outsiders may think we’re crazy, considering that there is no cash prize or other reward for winning NaNoWriMo. Heck, there’s only a simplistic word count validator, so it’s pretty much on the honor system anyway. Bragging rights aside, the words you write are still a lot more than zero. NaNoWriMo is supposed to motivate you to write, and has built an entire community to cheer you on. So rejoice for every single word–it’s better than nothing! 5. Don’t write for NaNoWriMo. Write for you. That may sound strange, but the biggest lesson I’ve learned is that NaNoWriMo is what you make it. This year my competitive nature overtook me, and I became consumed with my word count. This obsession transformed my passion for writing into a chore that I resented, which is exactly what NaNoWriMo should NOT be about. It should also not be about this one month. Writing 50K in one month means very little if you write nothing during the other 11 months of the year. Instead of writing like a maniac for 30 days and feeling miserable that you didn’t achieve your goal (let’s face it, much like the Hunger Games, the odds are not in your favor), let NaNoWriMo inspire you to set writing goals throughout the year, however small. 6. Don’t forget about the grand prize. If the #1 priority is to get published, you’ll need a whole lot more than 30 days to accomplish it. 50,000 words written hastily while you’re suffering from exhaustion and over-caffeination isn’t going to be your best work, plain and simple. I believe that you should first get it written, then get it right. 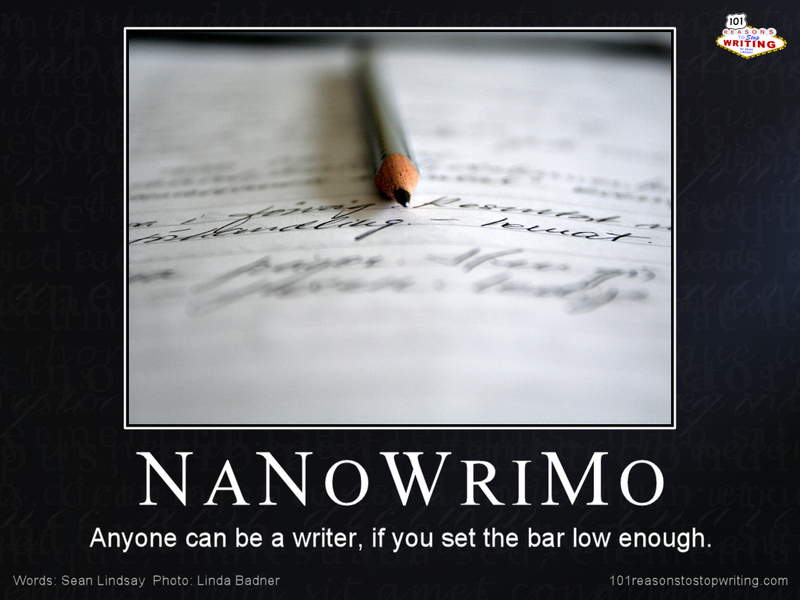 NaNoWriMo only assists with the first step, so make sure you follow through! Alright, now that I’ve succeeded in making a crappy metaphor and made myself hungry in the process, it’s time to end this blog post! There’s still one more week of NaNoWriMo and even though I’ll be preoccupied with friends and family, that’s how it’s supposed to be. Get off the couch, Wrimos, and go socialize! Remember all that you have to be thankful for, and be proud of all that you’ve accomplished this month! I’ll see you in December! And I am burdened with glorious purpose! But now that November is upon us, it’s time to dive into NaNoWriMo, aka National Novel Writing Month! Every year, hundreds of thousands of delusional people commit to writing 50,000 words in 30 days. I’ll save you from whipping out a calculator: that equals 1,667 words per day for a total of approximately 175-200 pages. Holy moly! Needless to say, this lofty goal is causing participants to absolutely freak out today, especially those of us who may or may not still be hungover from last night. I mean, why November of all months? The time of year in which I should be focusing on relaxing and spending time with loved ones during the holidays, not holing up like a hermit until I hit my daily word count. Loki gifs make it better though! Even though we all have a love/hate relationship with NaNoWriMo, I can’t help but feel inspired by my fellow writers. There’s nothing like write-ins and word wars to fuel your competitive spirit and encourage you to do your best. This is only my second year participating, so I’m still a newbie. If I had to offer any tips, I would say that the only thing you should be taking seriously is your output. When it comes to plots, characters, and settings, it’s best to be open-minded and flexible about where your story goes. There’s nothing wrong with outlining, but you shouldn’t be so rigid that your story can’t roll with the punches and evolve over time. Of course, there’s power in numbers so attend local write-ins, comment in the forums, and share your experiences on social media. Tell the whole world about your crazy mission! The people around you will hold you accountable and root you on, making it all the more special when you finish. So good luck to all the Wrimos out there! My username is bookclubbabe if you’d like to add me as a writing buddy. Obviously, I’ll be too busy writing to do much blogging, but I’ll try to pop in from time to time. Alright, I’m off to write! LET’S DO THIS!